There's a quirky twist on tourism emerging amid the Silicon Valley whirlwind of innovation that has tethered everyone to their smartphones. Those omnipresent devices are being used to track down technological touchstones scattered around the San Francisco Bay area so selfies can be taken, videos can be recorded and the experience can be celebrated in a Facebook post, Snapchat or tweet. Here's a tourist's guide to nerd nirvana for those more interested in seeing the suburban home where The Woz built the first Apple computer alongside Steve Jobs than the spooky prison in the Bay where the Birdman of Alcatraz once served time alongside Machine Gun Kelly. Silicon Valley startups have a history of humble beginnings, dating to 1939 when Hewlett-Packard Co. was founded in a Palo Alto, California, garage. It still stands at 367 Addison Ave., considered by many to be the birthplace of Silicon Valley. HP now owns the place. Jobs was one of many entrepreneurs influenced by the HP legacy as a teenager, eventually inspiring him and his engineering friend, Steve "The Woz" Wozniak, to begin working on Apple's first computer in the home of Jobs' parents. That ranch-style house at 2066 Crist Drive in Los Altos, California, is now owned by Jobs' sister, Patricia. 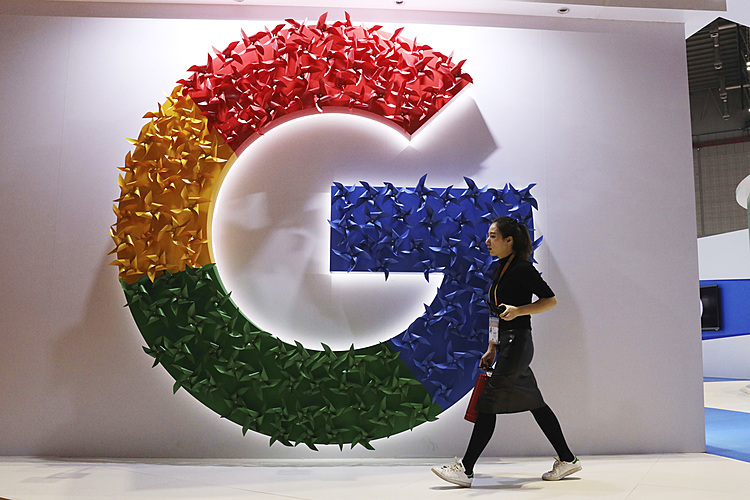 After they started Google in 1998, co-founders Larry Page and Sergey Brin built what would become the world's dominant search engine in a garage and room they rented from Susan Wojcicki, whom they later hired (she now runs YouTube for them). The Menlo Park, California, house, at 232 Santa Margarita Ave., is now owned by Google. Shortly after starting Facebook in his Harvard dorm room in 2004, Mark Zuckerberg and a few friends moved to Silicon Valley for what they thought would be just one summer. Zuckerberg never returned to Harvard, and the world hasn't been quite the same since then. The Palo Alto, California house where Zuckerberg did a lot of computer coding and threw some wild parties, if you believe the movies, is located at 819 La Jennifer Way. The place is still rented out by young entrepreneurs hoping some of Zuckerberg's magic will rub off on them. The headquarters of Apple, Google and Facebook have turned into must-see shrines to products that have become part of culture's lifeblood. None of the companies offers public tours, but that doesn't mean you can't steal glimpses at these factories of innovation. Google is the most accessible of the three headquarters. The hub of its Mountain View, California, campus is at 1600 Amphitheatre Parkway, with other Google offices sprawling almost all the way down to the nearby NASA Ames Research Center, where Page and Brin keep personal jets in a hangar. Walk down Charleston Road and you are bound to see one of the company's employees (also known as "Googlers") cruising on yellow, green, blue and red bikes placed outside all the offices to get to meetings more quickly. While strolling around, make sure to swing into the office at 1981 Landings Drive, where you can take a selfie with Android statues memorializing different versions of the operating system that powers most of the world's smartphones. 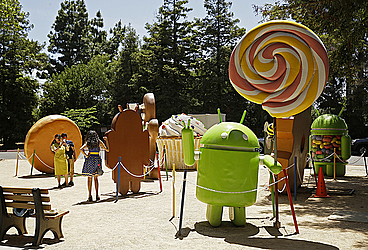 Each statue represents a dessert because Google has nicknamed each version after something sweet. The menu includes "Cupcake," ''Donut," ''Eclair," ''Froyo," ''Gingerbread," Honeycomb," ''Ice Cream Sandwich," ''Jelly Bean," ''KitKat," ''Lollipop" and "Marshmallow." The latest serving of Android, called "Nougat," has just started rolling out. Finally, in the Google store on the main campus, you can buy company-branded merchandise, including shirts, hats, mugs, pens and even notebooks (the kind with paper). The giant thumbs-up sign replicating Facebook's symbol for liking a post has become one of the most photographed spots in Silicon Valley since the social networking company moved its headquarters from Palo Alto to 1 Hacker Way in nearby Menlo Park five years ago. Unless you happen to be in a plane or have a camera-equipped drone, you won't be able to see what's on top of another Facebook building across the street (an underground tunnel connects the offices). That building, designed by famed architect Frank Gehry, features a 9-acre park atop the roof. Apple, founded in 1976, has had a fiercely loyal following for decades, so its Cupertino, California, headquarters has long drawn tourists looking to get a picture of its famous logo and the 1 Infinite Loop sign denoting its address. There is, of course, an Apple store at the headquarters, where people can buy company-branded merchandise not sold in most of its other stores. But you can't get help fixing your iPhone, iPad or Mac here. You'll have to go to another store for an appointment at the Genius Bar that serves as Apple's customer-help desk. The current headquarters will be overshadowed next year when Apple plans to open a nearby 2.8 million-square-foot, circular office that has been likened to a huge spaceship sitting on a 176-acre site. Known as "Campus 2," the new building is designed to accommodate about 12,000 workers. Before Jobs died in 2011, he stipulated that the campus should be surrounded by about 7,000 trees. WHAT ABOUT THE HOUSE ON TV? The HBO comedy "Silicon Valley" has won many accolades over three seasons, so fans may want to see the house that serves as headquarters for the fictional startup, Pied Piper. The location has been given as 5230 Newell Road in Palo Alto on the series, but that address doesn't exist. The house is actually is in southern California, at 5230 Penfield Ave. in Woodland Hills. So put it on the sightseeing list for your next visit to Hollywood.